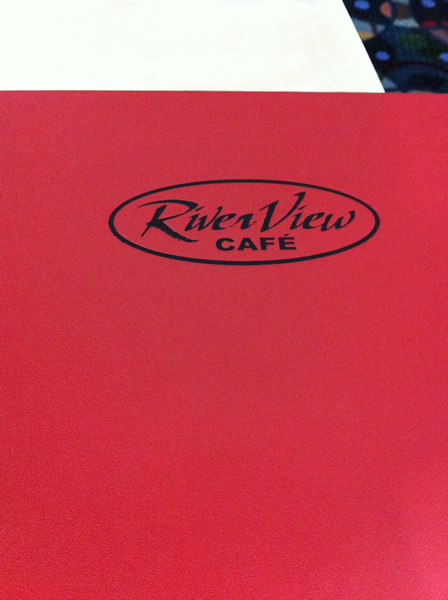 Over the weekend I had a chance to have lunch at Siena's Riverview Cafe with two fellow business colleagues. Click any of my photo thumbnails below to launch the gallery and check out the interior. Regarding the new interior, I'll let my readers draw their own conclusions and then I'll chime in with my opinion. I want to hear what you guys have to say without influencing it. I want to go back a couple more times before I post an official food review, I feel that's fair to the place being reviewed...to go two or three times and then take an average. 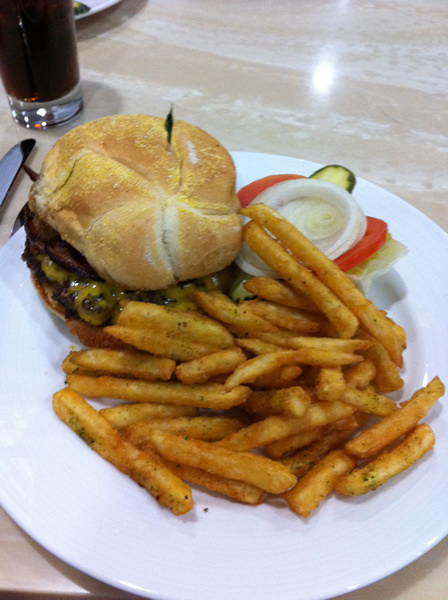 Plus I had a simple burger, and it's pretty hard to mess up a simple burger. But I will tell you that the food on this visit was good. 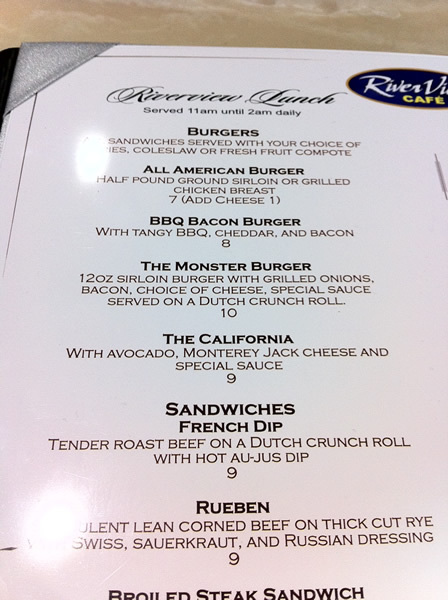 The french fries were out of this world, if you are a fries person, you definitely need to hit the Riverview Cafe up. The menus are brand new, and the food was above standard-cafe fare. The service was fantastic. The employees were all very kind, helpful, and had energy and passion for the place they were working for. In other words, they seemed happy, which shows through to guests. Nothing worse than sitting in a restaurant overhearing employees gossip about how much they hate their jobs. 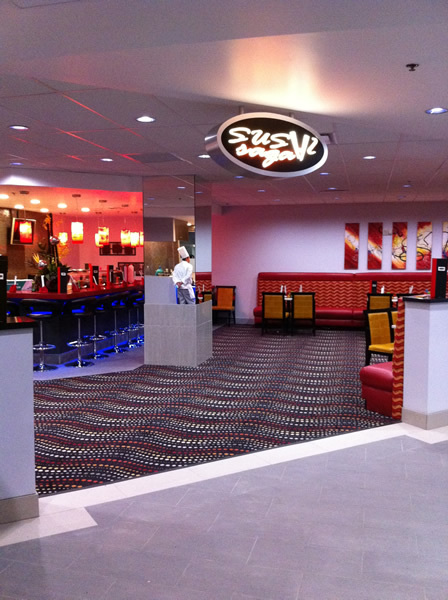 I definitely urge you to come down and try it out...the casino is less smoky, the food is much MUCH better. And a friendly note to Siena management: Please, PLEASE don't play fabulous '50's music in a hotel/casino that's billed as 'boutique'. I walked into Riverview Cafe and nearly choked when I heard 'Whhhhhere the Boys Are' and 'Bird, the Bird, Bah Bah Bah Doing the Bird' songs completely ruining the luxury boutique environment you are striving to achieve. That would be my only complaint thus far. Were we at the same table? I thought the service was horrible. Ice tea is a glass of tea with ice in it... not a glass of luke warm tea and a side of ice with spoon. There was no sweetener or sugar on the table. They should deliver all that with a slice of lemon for something as simple as an iced tea (note...not ice and tea...iced tea). I had to ask them to clear my plate, as we sat there for some time without service - and they did, but not yours. Having to ask a bus person to clear your food should be a sign that you should ask to clear all the plates - not just one. Walking away from the table with one plate, and leaving two dirty is a sign of inexperience and training. The food itself was "ok"...nothing that couldn't be beaten at Silver Peak, Imperial or certainly Granite Street. I had a beef sandwich with an insane amount of beef sticking out from the bun...so much so that I had to cut beef off just to eat it. It was delivered with nothing else on the plate - a slice of pickle or lettuce could have dressed it up, and it was far too plain and bland. For casino food, it's acceptable - but is that good enough to draw the "elite" crowd they continue to talk about in the press? I do agree...the fries were fantastic. As for the interiors...well... I'll leave that to your readers to decide. I certainly have my opinion, and it's not helpful to share at this early stage in their development. I wish them all the best because it's a beautiful location and an opportunity for new adventures downtown - but in the end, it's just another gaming product in downtown Reno. Frankly, I don't think that's anything to make headlines about, especially at the level they've shown at this very early stage. You're absolutely right Mike.... it's going to take an average of visits to provide an accurate critique. But food critics and tourists don't work that way - you get one chance to develop loyalty and show your quality. If I didn't love this town as much as you did - I'd never go back after this first experience. The photos are enough for me to come down in person and check out the difference. I'll bring the girls for lunch. Renoite do you think most of your complaints are attributable to just ironing kinks out? 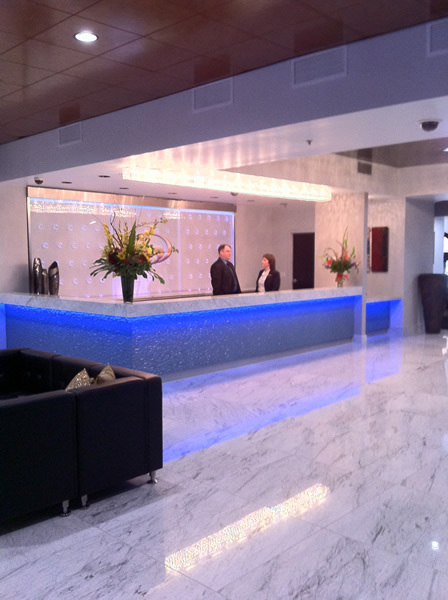 The lobby appears very futuristic and modern in these photos. I am drawn to that. No photos of the spa? You probably aren't into spas being a blogger. Open to the general public with out training your staff at the peril of your business. First impressions will make or break your business. In my opinion the Siena should have proceeded with a couple of weeks of what is called a shake down cruise to make sure the facilities and staff were trained and knowledgeable about the total Siena concept before just "winging it" for the general public. Don't waste our time. I visited the Sienna three different times over a four day period, and unfortunately I was severely underwhelmed. I did a walk through of the Sybil....er, Siena, Casino this afternoon. The remodeled design is psychotic, as if the people in charge of the hotel, casino, and food service renovations weren't talking to each other. It also felt that what started out to be a minimal remodel had a lot more money thrown at it as construction progressed, but the the original design assumptions were never updated. EXTERIOR - the warm yellow colors remain. The new logo and signage program is just not as elegant as the old one. The parking lot is now fenced, but it looks like it was on sale at Lowe's. 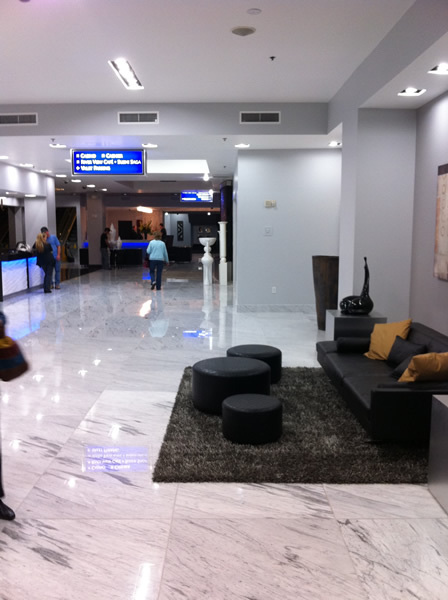 HOTEL LOBBY - It is like walking into a Euro igloo. Cold colors, hard edges, and not a great sense of where to go if you are checking in. It felt like a trendy Milan boutique or a Emirates airport lobby. DAVINCI - A bit better, but felt cold and heartless. The river views are fantastic. The LED disco ball in the bar dome? Go figure. CELLAR - Much warmer color palette, but the furniture was over-sized for the space and it felt like a cramped basement. 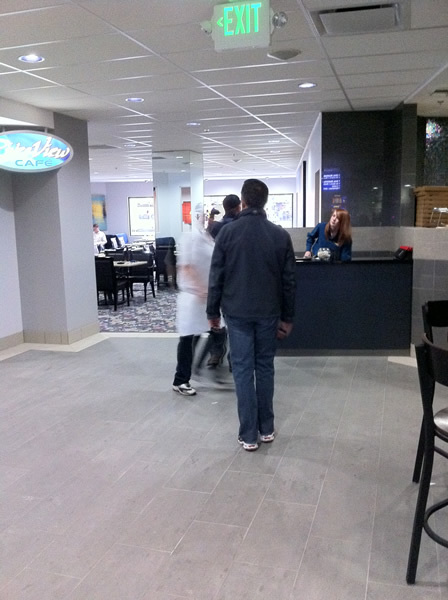 FOOD COURT - A corridor connecting the NW entrance and the casino floor has been constructed through what used to be the coffee shop (Cantada?). This connection is important in connecting the Siena to the rest of the the downtown casino core, but this solution had all the charm of of a hospital service corridor. Cold gray color scheme, the new coffee shop seems chopped up, Peet's, yeah!,and the new sushi bar. Bitchin' carpet in the sushi bar, but the color scheme really fell apart and the space feels unfinished. I would have connected the corner entrance to almost an arcade along Center Street (replicating the entrance of the original Holiday Hotel)and then into the casino floor. This would have provided a more usable space for the coffee shop and sushi bar, but would have required the relocation of the casino restrooms. That sounds expensive and was probably not in the original budget, but would have made a lot of sense as the design concept matured. CASINO - The bird cage is gone, and that's a grand thing. The UFO light fixtures provide enough lumens to perform brain surgery on the gaming tables. The ever changing colored lighting can make people look pretty scary. Am I wrong, or is this the original carpet? The plaster peeling off stone motif along the south and west walls has been maintained, and it totally out of place and looks shabby. Again, an early cheapo remodel solution that wasn't updated as the design concept progressed. I hope they fix it. 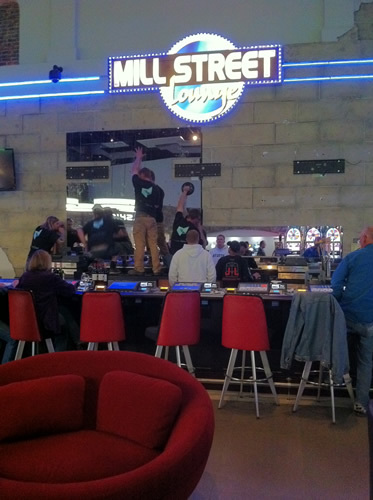 LAKE MILL STREET BAR - They build a half height wall separating it from the casino, and the scale is all wrong and the wall is only a piece of crap gyp board partition with a granite cap that will be trashed in no time. The separation could have easily been accomplished with better furniture selection and placement. LOFT - Not done yet. But it looks out over the top of the exposed wiring on the UFO lights - tacky. OPINION - A lot of lost opportunities given the budget. It is a collision of pieces, and not a cohesive whole of a property. I hope this is not indicative of how the management style will be, but I fear it will be. Terrible coordination of colors throughout the property. I believe they had to purchase furniture from another property and try to make it work in the Sybil due to time-lines. Their web site is pathetic for a now opened property in this day and age http://www.sienareno.com. 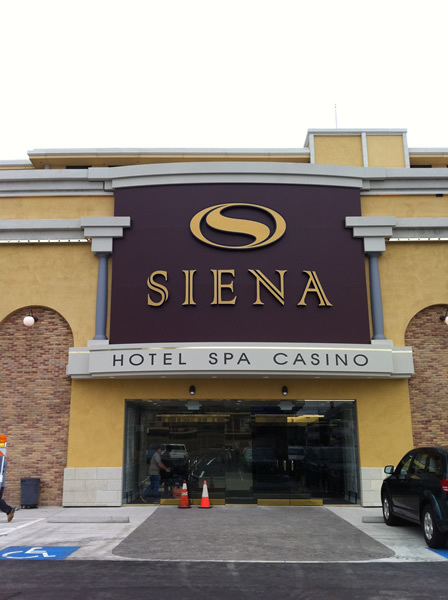 Quite frankly, other than the casino floor, I think the original Siena design was better positioned to capture the market the new owners are saying they are trying to capture. DISCLAIMER - I give the Siena a hall pass for a few months to get things right and to let the long lead time items arrive. I'm not being bitchy, just relating my observations as an architect that specializes in commercial interiors. Melissa... I do think some of the issues we encountered can be resolved by working some of the early kinks out. But these are pretty big kinks in my opinion - and they'll really need to train staff properly. The staff is very young, and very enthusiastic. They're trying hard - they just don't know how yet. That's one of the problems in opening a "boutique" resort in Reno, we don't have the culture here that supports the level of service required on a massive scale. 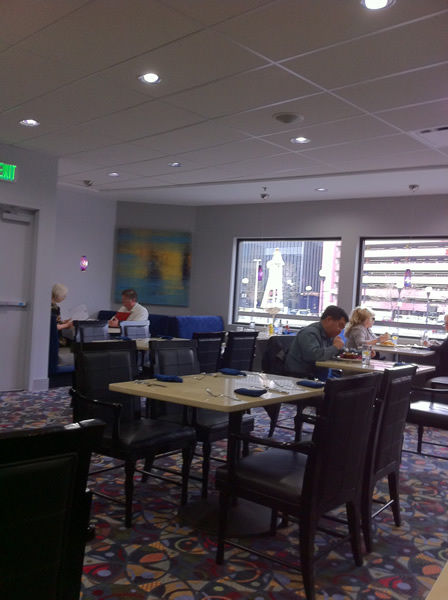 There are pockets of great service and food in Reno, no doubt - but they are small, and well managed. We'll see how the Siena team does in time, but I'm not all that hopeful they'll be able to establish a standard that will follow through each shift. I really do hope I'm wrong. Haven't had a chance to go yet, but from your pictures it looks really cold and uninviting. Although this could be attributed to the fact I'm just old and not into the new age look. I certainly hope the new owners succeed with this hotel, but from what you all have said so far growing pains are going to last for a little while. I am looking forward to the fries though! I think it looks pretty cool. I haven't had a chance to make it down there yet so I don't have any opinions of the service or actual atmosphere. One thing I will say about the design that I don't like is that I don't get the pillars by the water wall. The rotunda bar I totally get, if it's any good I'll find myself hanging out there on a semi-regular basis and I do like the looks of the cafe. I went by the Siena with a group of people yesterday to check it. I was frankly underwhelmed. Which makes me sad because I would very much like for this property and project to be a success. There is an overall lack of cohesion with the remodel. The pieces do not fit together. We walked in from Center street and I will echo the comments that the revamped food area has all of the warmth of a hospital corridor. There are some lovely touches, but they are out of place in overall, dare I say scheme, of the place. I can see that money was spent on remodeling but I'm frankly disappointed to say that it was not well spent. 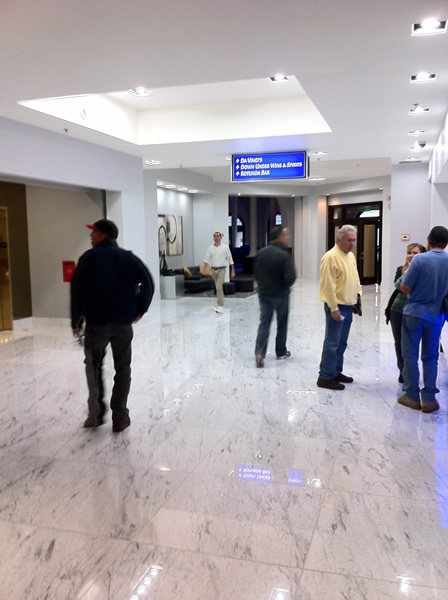 I like the look of the new hotel lobby check in area but it didn't correspond to the overall feel of the place on the whole. We went down to teh wine bar down under bar and hung out there for a while. They had a thirty to forty second jazz ditty on constant repeat which made certain members of our party crazy. A manager came over to fix it and that helped the atmosphere tremendously. Also, the bartender was very pleasant and helpful which was nice. However, we wanted to make a reservation for DaVinci's for next weekend and it took an inordinately long time, again echoing earlier comments about lack of training and overall cohesion. I will remain open to the idea of the place coming together but my first impression was underwhelming. But, I will visit again and hope for the best for the Siena and its employees. I have not been to the "new" Siena however I do plan on stopping in and SUPPORTING a local business. All I have to say to all of you nay sayers is if you think you can do better then the new owners are doing then YOU take the risk. We need more imports such as myself who are EXCITED about revitalizing downtown instead of knocking it down. I have avoided the Sienna - I intend to give them an opportunity to work out their issues for about a month; I'll take a look after the Memorial Day weekend. New To Town - don't be so critical of the criticism. This site and the people that comment have historically been very generous to new businesses and development. Sienna would do well to take notes this early in the process. Shake downs are good - I've had a few opportunities in this town on "free days" at restaurants and hotels; if I were to go into business, I would consider a dry run. Knowing - I think constructive criticism is essential to the success of any business. However as an outsider looking in I believe Reno has a lot more critically judging people than I have ever seen and this is coming from someone who has lived in 5 states in the past 6 years. Personally I'd have a tough time getting a real read on an area if I'd been in 5 different states in 6 years. That being said, I don't think the people of Nevada are any more critical than the people I was around in the Bay Area, Pacific Northwest ... and Renoites are downright pussycats compared to New Yorkers. ////////// As for the Sienna, the first thing I thought when I saw those photos of the coffee shop was "doctor's office" â€“Â and not an inviting one at that. ////////// Initial responses to the Sienna I've been privy to from Californian gamblers have all been disappointing unfortunately. Frustration at the restaurant not being open, bathrooms not being finished on the casino floor, and in general the feel of the place being cold uncoordinated from area to area. The big question everyone had though was "where did all the money go?" that was supposed to have gone into remodeling the property. ////////// I'm not sure I'll be heading down to the Siena anytime soon. I'm all for giving new places some support, but at the same time it's my hard-earned money and unless I hear good things about a new place, or it intrigues me for some reason, I prefer to stick with what I know and enjoy. Part of the problem for me is the level of expectations they have set with the public. If you're going to be the "boutique/elite" place to stay downtown, then your level of service and product needs to meet that expectation. When you don't fully deliver on the promise, you hurt yourself, and lose loyalty from those who were faithful in the past. I hope they sort it out, and I think they can. But the decor issues are something fairly obvious to anyone that visits - new or old. And that cannot be as easily changed. Fingers crossed they pull it all together before it gets beyond our local market's influence. It looks OK. I'll go check it out, but I doubt if it will be able to live up to the standards of actual boutique and high-end casinos and hotels in other places. I would have been much more excited for some shopping downtown instead of a retry of a failed casino. I walked through the property last Friday, and had a similar sense of being underwhelmed as others have expressed here. I really wanted the new owners' concept (as articulated in various media outlets) to be well executed, but came away from my visit frustrated by what seemed to me to be a big opportunity lost here (at least, on its current trajectory). Although the term "boutique" has been so zealously adopted by hospitality marketing that it has almost become meaningless, in my opinion, the new Siena missed the mark. Where (in my opinion) "boutique" should be authentic, luxurious and quirky, walking through the remodeled Siena, I couldn't help but feel that the new design felt like a bad "boutique" color-by-numbers... where interesting individual elements seemed lost in a bland and uninspired sum of the parts. The prominent artwork hanging on the walls seemed stock, as though purchased in bulk from a catalog where doctor and dentist offices find canvases to fill their walls. The furniture seemed functional, but far from interesting or inspired. 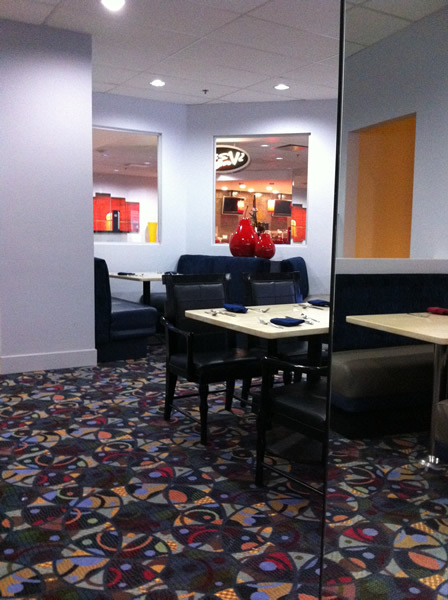 Luxurious elements, such as the white marble floors, are overpowered by multi-colored bubble features and cheap-looking and inconsistent multi-colored signage. Where the design seemed good or consistent, it was possibly a bit boring (like the Da Vinci restaurant), and where not, it seemed like a haphazard mix of old and new, classic casino reaching for more (but not really getting there). 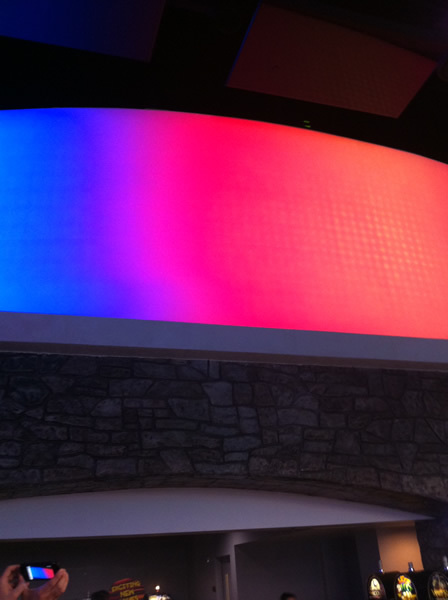 I came away from the walk through convinced that a top-flight designer who could articulate and execute an inspired, consistent and authentic concept would have been money better spent than a few large LED lightwall elements. 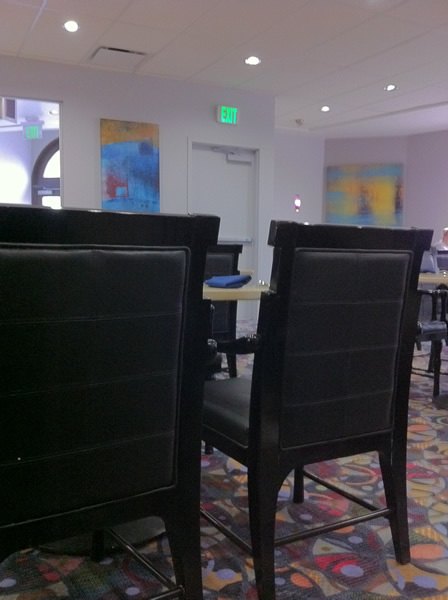 In truth, I think the Grand Sierra Resort's remodeled interior exceeds what I saw at the new Siena across the board. I wish them success and will try to support the new venture like any venture that invests in downtown Reno, but can't help but feel disappointed. Sorry, but the place hardly presents as the Five Star property it has been billed as by the new owners. Frankly, it does not strike me as much different than the former Siena. Yes there are some new fixtures. New fixtures do not a Five Star property make. Underwhelming seems the best word to use. Unless the new owners have some real magic yet to be rolled out, I am afraid this place is going to be more like the Cal-Neva down the street than the upscale property it was hyped as. I and two friends visited the place two days ago. I can't think of any real reason to hurry back. I see nothing that distunguishes this place from any other downtown casino. It has come in way below the hype, and I can't imagine it is going to draw the elite upscale customer it is supposedly aimed at. Whay would they go there? It is just another downtown casino. I am glad that it is open and employing people, and I wish it success. But unfortunately it appears that the new Siena is just a rehash of the old Siena. The phrases "Five Star Property" and "Downtown Reno" are fundamentally incompatible. Nothing in downtown Reno is close to Five Star calibre. A Five Star property across the street from the city's biggest flop house? I am not saying that the Siena is going to fail, but it will if it has the delusion that it is going to compete with the Four Seasons at Mandalay Bay in Las Vegas. Thanks for the pictures. Nobody at the craps table. Nobody at the roulette table. 1 or 2 folks playing 21. Mostly empty. Looks just like the old Siena. The security guy roaming the floor was HOT! The rest of the Siena was tepid at best. The clientÃ¨le seemed a bit tatty and from the neighborhood (not good). The gold stuff pasted up above the entry coffers were already peeling off. Escalators to the Loft are still out of order, and now the stairway is roped off. The violations of ADA standards in the new work are astounding, even for Nevada. If you read the ratings site, the Siena opening has been disastrous though hopefully not catastrophic. SIENA - ARE YOU READING THIS? The early reviews are telling you something, and I hope you will take them to heart. Everyone wants to see you succeed, but you aren't making it easy for us local folks to believe in you. Ask Barney if you can lose money on a hotel/casino without any principal in play. Quit the smiling talking head media action, and focus on improving your operations STAT. Or you will quickly become the next Virginian. Walked through the Siena Saturday evening around 7 PM. Gaming floor was far too sparse for this time of weekend, with maybe about 50 gamblers total on the slots and tables. On the plus side, I quickly won almost $50 on a video reel slot machine after just a few spins! 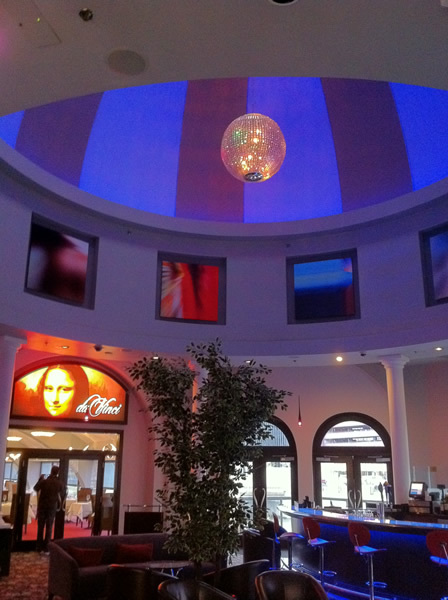 The east side entry including the DaVinci restaurant area with lounge and downstairs wine bar is the nicest looking part of the hotel. Haven't tried DaVinci but they will have to offer high quality food and service with the a la carte entree prices in the high $20's to high $30's. I like the look of the gaming floor compared to the previous Siena. They certainly will need to draw more of a crowd to their restaurants and gaming area to succeed, although they haven't had their official "Grand Opening" yet--that will take place on May 20. Hopefully this will coincide with the Siena having worked out the kinks, and those who walked in and came out disappointed during the early opening will give the new Siena another chance and come out with a better experience after the Grand Opening. My only comment is that this new Siena looks far too much like the old Siena whilst all the talkup from the new owners was this place was going to be First Class Primo all the way. Doesn't look like it. At least not yet. The new owners have a lot smaller debt burden than the previous owners and probably can and will make a go of it as a decent hotel casino. Good for them, and I hope they do so. Just stop with all the Five Star talk nonsense though. Looks like the website has finaly been updated. I've stayed at the old Siena many times and just by the pictures I am not sure what they have done is a huge improvement. 5 Star? I don't think so....but I'll wait to see for myself this fall. Good to see it open and creating some jobs. 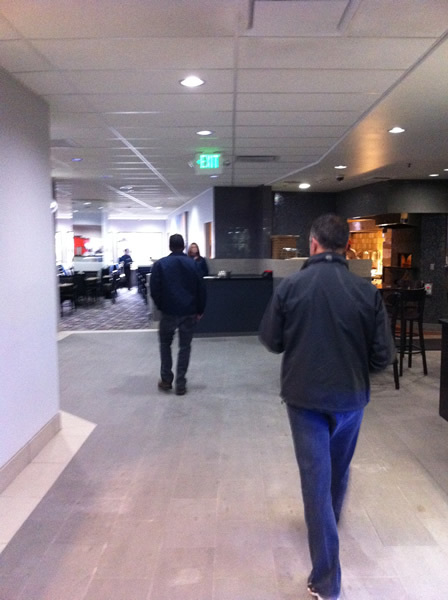 The Siena grand opening is scheduled for late May and already people are writing it off! I wonder if these same people were so quick to write off their kids after they failed a spelling test in 3rd grade??? Seems like a fair question, dontyathink? Give it some time. The only reason they opened as early as they did was to keep the gaming license from expiring. Perspective, get some! 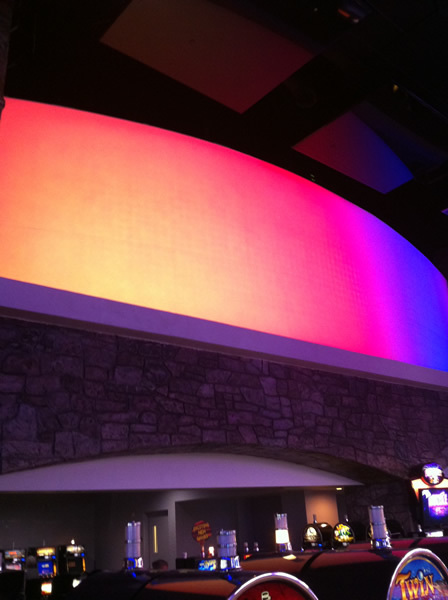 I had the chance to visit the casino Monday night. Interesting place. It still gives the sense as if it is in the construction finishing stage. It seems like there is some furniture missing, like when you move into a new house and haven't got your posessions completely unpacked yet. 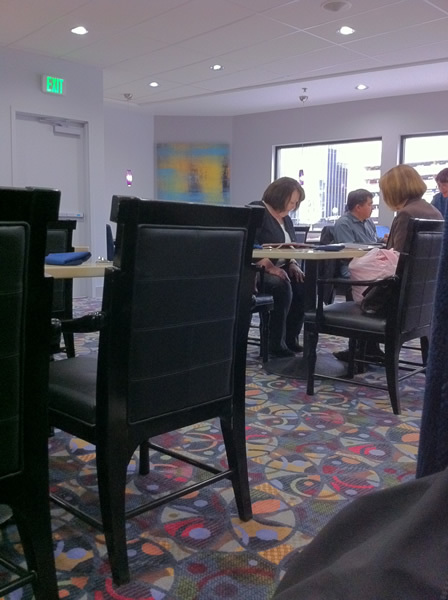 The slot club person was not on duty at 8:45 when we arrived, nor did anyone ever show up to that desk, although the pit boss issued us a temporary card, with instruction to come back tomorrow to transfer points on a permanent card. Unusual. The cocktail service was non existant at first, so we headed to the bar. Although my luck on the slots was dismal, the video poker at the bar was great fun. The service was personable and the drinks were good. After the video poker, I asked the pit boss to open the 3 card poker table. He obliged immediately, which I did not expect even on a slow night. Eventually a cocktail server came around and was on the spot for the rest of the evening. The lighting over the gaming tables is bright, very bright. Like bring some sunscreen bright. Overall the feel of the place is dictated more by the friendly and obliging staff than the homey surroundings. The place felt clean and not smokey, which was nice (even though I smoke!) Overall it was a surprisingly fun little gambling experience, and I will return! Great to hear someone finally had a good experience! I was beginning to get very worried lol. Their grand opening I believe is May 20 or May 21. I think some people might have been a bit hard on the Siena given it's still dialing in its customer service etc. You bring up a great point Old Johnny, it's not JUST about the decor. It's about the service. People can be more forgiving about decor than poor service. I believe the bartender mentioned 3 dog night as an act for their grand opening. Please do not hold me to this information, as it was given to me after a few cocktails. I wasn't offended by the decor as much as others seem to be, actually after seeing the pictures you posted here I was rather pleased by my overall impression. Maybe the shock had worn off of my by the time I actually got there. 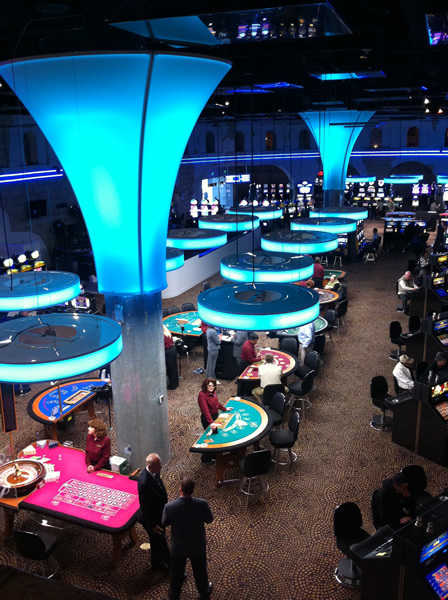 I didn't mention before, the casino floor is quite small, especially when compared to the other casinos nearby. I was kind of disappointed in the slot machine selection. 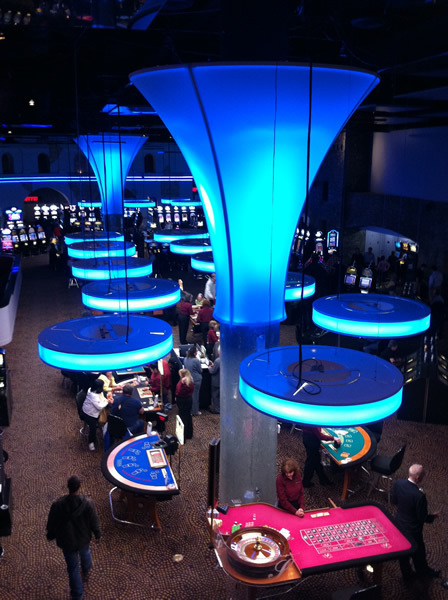 Mostly new style machines, with an enormous amount of penny slots, given the small amount of overall machines. The staff was friendly and seemed to want to please the customer, and you are correct Mike, bad decor can be overcome with good service much more than the reverse. I had visited Siena part one, and was unimpressed by both decor and service, so my one visit was my last until now. Really, 3 D.N. and those old feel-good era hippie tunes?? Joy to the World, Jeremiah was a bullfrog? Man, I was going to fly over for the weekend, but now, count me out. 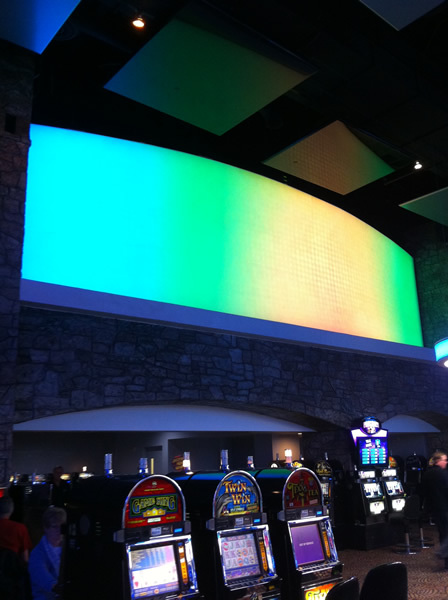 The friendly attitude of the casino staff sounds refreshing, from what people are reporting. Maybe that alone is enought to make the project succeed, I hope so. My wife and I ate at Da Vinci's last night we both had the osso buco it was terrible so tuff I need a sharp steak knife to cut it had to chew it like gum to get it down.The staff and river view was great. Carmen, Ossobuco is not a simple dish to prepare. The veal shanks called for in this dish are usually flavorful although they can often be tough. It is the slow braising which usually makes this meat tender. May I suggest that all of us give the cheff and kitchen staff some time to perfect things in their preparation routine. After all, it is a new restaurant team. Go back and try this dish again in a month, I bet it will be improved by then. I will be at the Lake next month and I will drive down the hill to try it then. chef not cheff, I spell better than I type. Uncle Tom...I injoy eating out proably eat out too much.Ossobuco is one of my favorite dishes probably have had it 50 plus times at many different restaurants.I did say the staff was great but did fail to mention that the appetizers and desert were also great. We liked the view of the river so I will take your advice and try it again in 4 to 6 weeks. I will let you know if I just got it on an off night. 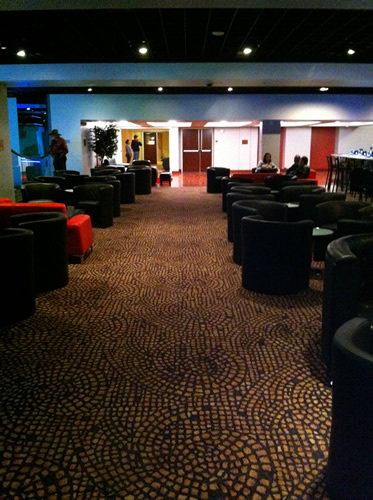 So much more sleek and modern - still some crazy carpet patterns though. I will have to go and check it out for Lunch one day. I periodically survey the latest travelers' reviews on-line for various properties, and also for the California Indian casinos; this is related to my work. Here is an excerpt from a recent visitor's comment on a trip to a rural area INDIAN CASINO IN CALIFORNIA, and which says it all on why there is room for a remodeled and well-staffed northern Nevada hotel-casino to prosper: "... the air outside [the Indian casino] smells like cow s! !t and the air inside is pure smoke. ... the lines for food are very long. ... the crowd is anything but upscale, and very elderly." With an environment like that at the rural Indian casino, I predict people will still drive to Reno--despite the gas prices. Other comments on the Indian casinos have been similarly negative, although there are a few nice ones--those are the exception, in my opinion. 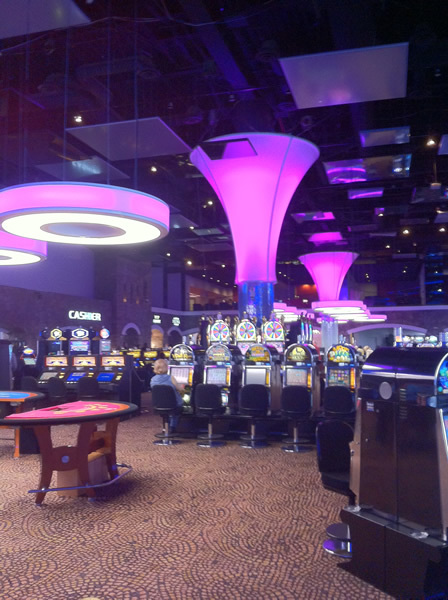 Northern Nevada properties generally will make it if they can beat the closer Indian casinos on employee-to-customer ratio, service and amenities, and keeping the indoor smoke down to a tolerable level. Look at this Siena review from just this week, posted on one of the travel sites: "...impression was: where did all these friendly, smiling, helpful people come from. The staff was truly a delight...." When you see published hotel guest feedback like the above appearing on travel sites, the property is going to succeed. It indicates that the staff and management want it to succeed, and that is a big part of it. You are assuming of course that the online review posted was completely legit - and not done by one of these "online brand management" firms who will post phoney positive reviews to many social media/networking sites on behalf of their customer. Happens all the time, even here. Hi Tom, what you say can be true, sometimes. However, the chances of being tricked by shill postings can be reduced by two methods: First, follow through with searches to read other postings by the same poster, looking at the dates of posts, locations commented upon, and compare the text and style of the comments over time. Some sites even have hyperlinks to other posts by the same poster. In this case, the poster had commented elsewhere on other subjects, same writing and spelling style used in all of them. Secondly, if there are more than one comments posted saying generally the same thing by different guests, it becomes unlikely that all of them are fake postings. I agree that sometimes you may find an artificial positive comment, but this one looked legit to me. I spent a few hours in the Siena yesterday (Sunday) morning, as my flight wasn't leaving until the afternoon. The Sunday brunch was extremely good, and sitting on the deck overlooking the swollen and fast-flowing river on a warm morning was very pleasant. 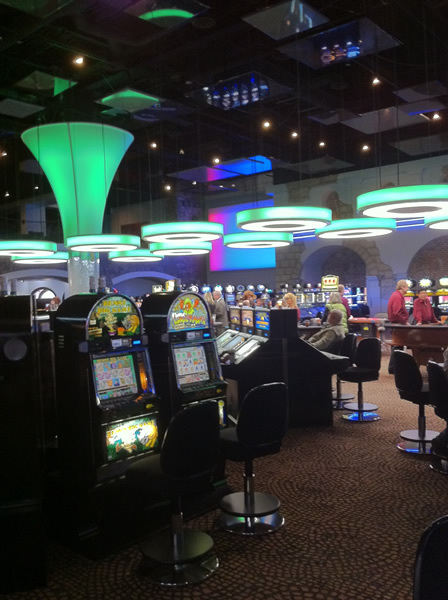 The interior look of the hotel appealed to me, because I prefer a well-lit and smaller casino, as compared to the large, dark rooms of some other downtown properties. All the employees I chatted with were friendly and courteous, and I made it a point to speak with several while I was there. I even toured some rooms of various categories. 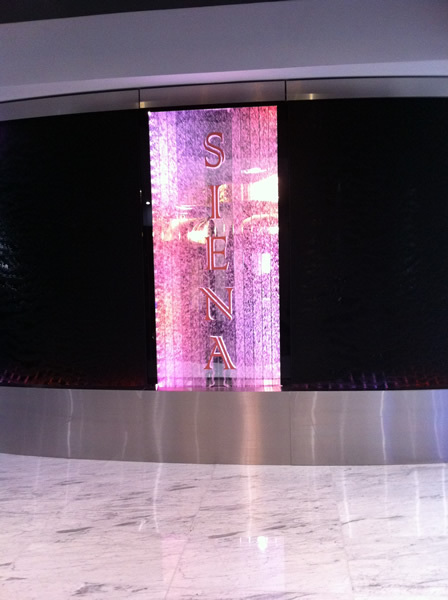 I would like to say that I feel comfortable in recommending the Siena for friends and I will stay there on my next overnight business trip to Reno. I point out that I have no affiliation with the property of any kind. I hope they succeed. Interesting Old Johnny, you are the third person raving about the food / sushi at Siena within a relatively short timespan. Will have to go check it out! Happened to be at the SPCA Thrift Store at 4th and Keystone buying stuffed animals for the dogs yesterday afternoon. The crew from the Siena was picking up all their Christmas decorations for the hotel, including a used inflatable Santa that I'm sure will grace the lobby. I guess this is how all 5 star hotels decorate for the holidays. Or maybe the Siena is so SOL that thrift store decorations were all that was in the budget? My husband I were excited to go to Reno after getting married there 11 years ago.We loved the room.Upon arrival and being his uncles guest ,who took us there for our anniversary we were disappointed with the way we were treated in the casino.I had been at a machine waiting for a drink and the waitress never came,So I got up and went to were my family was,I stood beside my husband and put 5 dollars in the machine and stood next to him and played.The waitress had come by to bring his drink and our uncle and aunts drinks,So it was my opportunity to get a drink. I asked the waitress for a margarita she rudely said you have to be sitting at a machine playing a quarter a bet.So I explained to her I was waiting forever and I went to sit at a machine and put money in so I could get my drink and the waitress ignored me.My uncle had asked to talk to a manager and he was rude and offered nothing for the waitress rudeness.The manager told my aunt well if you been playing here for a long time you should know the type of people who used to come here.So how would we take that comment?Should it matter if we are betting a quarter at a time?We are staying in there hotel and gambling at there casino we should have been treated better.The mood was ruined by the rudeness the waitress and management could have handled it different.I felt like we did not matter our weekend was then disappointing that we were treated that way.They would have rather lost customers then appologize and make it right.I will never go back there again.We went to other casinos in the area and everyone was so nice.Harrahs showed the care about the people who are there playing.Shoot the waiter there kept checking to make sure we had our drinks. We decided to stay here again because our first experience was great.We thought it would be great this time as well since it was bought by someone else and they had redone it. This time we had an awful experience. 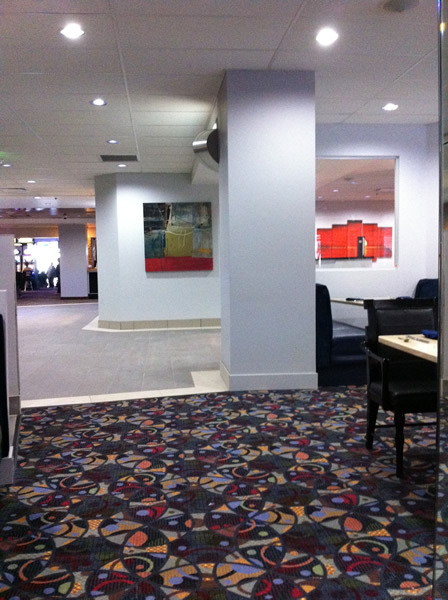 The lobby floors were dirty and needed to be vacuumed. We had very poor service at the "River View Cafe" I had ordered the beef stroganoff and my husband ordered a french dip. People who ordered after us got their food first and when we did get our food i got some kind of sandwich which I didn't order and the waitress didn't seem to realize it was the wrong order so she took it back and said the cook got it mixed up with beef tips. The sandwich that she brought was a tuna melt (not beef tip sandwich). It took another 10 min. before I got my meal.The service was extremely slow for there only being 5 other tables and I think 6 servers working. We finally got our check and gave her our credit card and it took another 15 min. to get it back and sign before we could leave!! They didn't even offer a discount for the problem. Will never go to that cafe again.The room looked nice until I decided to get under the covers...and I felt something which startled me!It was someones SOCKS!!! Our sheets weren't changed from the last night when someone else had stayed there apparently the maid just remade the bed and didn't change the sheets!!! I called the front desk and she says " maybe they were just stuck in the sheets from the laundry" i said to myself Bull Crap! and I wanted maid service to come and change my sheets. Linda came up from housekeeping and changed the sheets and remade the bed That was the best part of our stay. She even said there was no way these socks were stuck in the sheets because they put the sheets through an iron press before they fold them. We will not stay at this so called 4star again. We give it a 2 star at the most!! I recommend everyone who decides to stay there to check the bed before its to late!! !